At this time, about 100 new retirees move to Ecuador every day. While a move abroad is a big transition for most people, it can be made highly manageable with good planning. This checklist for moving from the U.S. to Ecuador offers a great starting point for those interested in exploring the country that International Living calls the world's top retirement haven. A person's cost of living can be reduced by certain financial decisions and the lifestyle an individual desires. For those seeking a lower cost of living, costs in Ecuador are lower across the board than they are in most parts of the United States. By most reports, a couple can live well by spending between $1,600 to $2,400 per month. Someone considering living in Ecuador should look over their finances and estimate how much they have coming in from all income sources. These can include pensions, 401(k)s, individual retirement accounts and other investments. Additionally, United States citizens are allowed to collect Social Security retirement benefits while living in Ecuador. On average, Social Security pays out $1,389 per month to each retiree. A couple in which each person is getting that amount every month can live quite well in the country. The amount each person will get will depend on their earnings history. Those interested can use Social Security's My Social Security reporting system to estimate how much they will earn in retirement. And no need to worry about currency conversion in Ecuador as the country has adopted the US dollar as its national currency. Those who move to the country can have funds deposited in their US bank accounts, and then withdraw those funds from banks or ATMs anywhere in Ecuador. medical records, including proof of vaccinations. estate documents such as wills and powers of attorney, if applicable. Ecuador requires that all foreigners entering the county provide proof of health insurance for the duration of their visit. Individuals who are visiting in anticipation of a move may be able to cover this obligation with travel insurance that covers all health incidents. Those who wish to stay longer will need a regular health insurance policy. Someone who is visiting in order to check out the country to see if they want to live in Ecuador, can enter the country on a tourist visa. In general, these visas are good for 90 days. Those who wish to extend their trip can apply for a tourist visa extension. This document will permit them to spend an additional 90 days in Ecuador. Those who decide that they wish to live in the country for longer can acquire a Temporary Residency Visa. This visa allows someone to stay in the country for up to two years. During this time, a resident may leave the country for up to 90 days in the first year and an additional 90 days in their second year. Travelers who do not comply with this visa requirement can be subject to cancellation of the visa, so expats are encouraged to plan accordingly. Once someone has spent some time in Ecuador, they can apply for permanent residency. Permanent residency allows a citizen of another country to stay in Ecuador indefinitely. To qualify for permanent residency, an individual must have spent a minimum of 21 months living in the country. After a permanent visa is granted, an expat can leave the country for up to 180 days per year. Failure to comply with the 180 day requirement can result in fines. They will also need to show proof of income to acquire a pensioner visa in Ecuador as a retiree. A minimum income of $800 per month is required to qualify for the pensioner's visa. Choosing a place to live in Ecuador could also mean looking for a place to live to call home. Real estate prices in Ecuador depend heavily on the individual property and its location. However, retirees moving to Ecuador from the states will find that prices here are far more affordable than in most US cities. Additionally, low property taxes make purchasing real estate an even more affordable investment. There are many new construction areas in Ecuador that have either single family homes or condominiums to purchase. Of course, one can also rent a home or apartment as well. 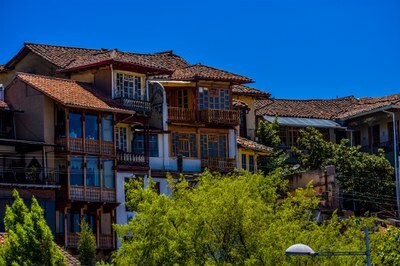 There are no restrictions on foreign ownership of property in Ecuador. In fact, many individuals find that buying a home helps when they are qualifying for permanent residency in the country. free domestic land line phone service. half price airfare for round-trip tickets from flights originating in Ecuador. 50% discounts on utilities that include water and electricity. 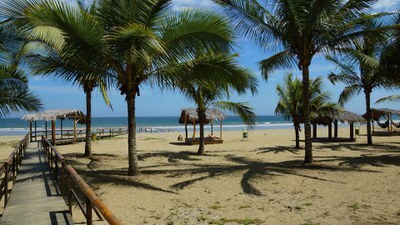 Ecuador offers many benefits for retirees who are looking for adventure and comfort in their golden years. By taking the time to research the country and its benefits, individuals can choose the area that is the best fit for them and hone their goals to make the dream of living abroad a reality.